You must be a member of the Dubai British Culture Group to attend this activity. Would you like to join this group? 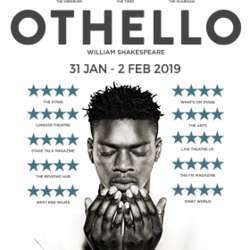 Let's start the year off by going to see the Shakespeare classic: Othello! If you would like to join, please let me know by this Thursday 10th January so that I can book our tickets. I'm looking into getting group discount ;-) . I will keep you all posted on that.